"We are happy and proud to announce our latest initiative of including ‘Digital Citizenship & Internet Maturity’ in the curriculum for classes 6th onwards. 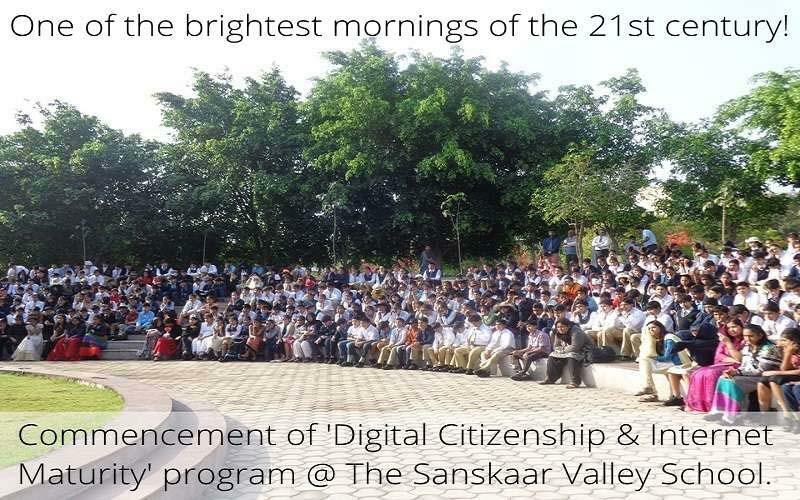 While similar initiatives have begun in developed countries like USA, Sanskaar Valley is India’s first school to bring Digital Citizenship & Internet Maturity in curriculum in a comprehensive manner", says Principal Dr. Amlan K Saha. The Internet access times of children are getting longer. The learning opportunities on the web are getting better (example OCWs and MOOCs). The threats from the online sources are getting more serious in nature and new kind of online threats are arising everyday. The number of cases of misuse of Internet by children is rising at an alarming rate. The Internet has become an inseparable part of the lives of 21st century students. So, as a 21st century school, TSVS has shown commitment to make its students Internet mature and thus prepared for a 21st century life in future.